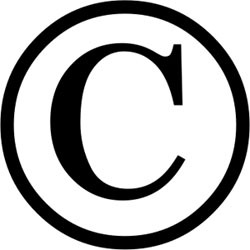 The point of copyright law is to give the author of some work control over who copies it. The problem is, today, enforcing copyright law against individual users is virtually impossible. Anything in digital form can be copied quite easily one way or another, and there are 200 million+ consumers able to do it in this country alone. The law just doesn’t work in the here and now. As a society, we’ve outgrown our copyright laws. They’ve become irrelevant and lost whatever previous value they had. There’s an parable, called the Candlemaker’s Petition, that I think is relevant here. It’s a satire, where the Candlemakers of France petition the French Government to protect their trade from the unfair competition of…the Sun. In their petition, the Candlemakers cite several economic ‘advantages’ that might be had from blocking out the Sun, by increasing consumption of products: tallow, leading to the increased production of meat, wool, hides, etc; vegetable oil, leading to the increased production of poppies, olives, and rapeseed; resinous trees, leading to more bees, hence crop pollination; whale oil, leading to a larger merchant navy that would boost France’s prestige and standing. This is, of course, complete nonsense. It’s laughable to anyone who reads it today, but it’s exactly what some supporters of copyright believe. Yes, blocking the ability to copy digital goods would help some people (namely record executives), but at what cost? The ability to copy is helpful to society, it increases production, spreads knowledge quickly; and more importantly, it’s impossible to stop (just as it is impossible to block out the Sun). Most prominent authors make more money from speaking engagements than they do from the books they’ve written. Mark Twain made the vast majority of his wealth that way, and comparatively little from his writings. He built up his reputation with books and short stories, and then went on the lecture circuit. Authors today do the same thing. In a world without enforceable copyright, authors could write books, provide them online to anyone who wanted them, and make their living selling services to their readers like public lectures or consulting services. Or, ironically, they could use their online success (got by giving away their content) to help them sell books offline. Cory Doctorow, one of my favorite living authors, offers all of his books on his website, for free, yet his books are still often bestsellers. He’s gained publicity online, and transferred that publicity to sales offline (Here are some really insightful comments by Cory) . There are a great many authors who do this. The last living founder of anarcho-capitalism, David Friedman, offers some of his books for free online as well. This strategy is gaining popularity. Creative people can give away the intellectual property and get income from it indirectly. This is how television works, they offer it for free, and collect money from advertisers. This is how web browsers work, Firefox is 100% free, yet it’s parent, Mozilla made $72 million dollars last year. If you’re using Firefox or any Mozilla browser right now, look up the in the top left hand corner. See the little Google search bar? Google pays a great deal for that. Every search that goes through that bar that ends up on an advertisement, Mozilla sees 80% of it. But the most important thing to consider is that the same thing that makes it so easy to copy creative content, also makes so easy to find new forms of income from that content. Websites give regular people the ability to post whatever they want, and then surround that digital content with advertisements, in the form of Google AdSense for example. If that content is popular, those regular people can then collect money from those advertisements. The fact is, copyright is dead. The medium that killed it, the internet, is the same medium that has brought us so much success. Artists and creative minds need to accept that fact, and embrace new ways of making money from their creative works instead of clinging to the outdated legal dinosaur of copyright. This is progress.